Starting in the early 1950s, Jean Raffa in Montréal and Jean Fuschino in Québec City began to popularize petanqe in French-speaking Canada. Jean Rafa later wrote a book, “Petanque au Québec” in which he reported that the pétanque players in Montréal and Québec City got together and formed the Federation Canadianne Bouliste Inc. The first competition of the new organization was held on Sunday July 15, 1956 at Parc Lafontaine in Montréal. The oldest petanque club in the United States is Le Mistral Club de Pétanque, which was founded in Worcester, Massachusetts (near Boston) in 1958. Later, it evolved into the current Boston Petanque Club. The original founding members were French expatriates who emigrated from the Armenian community in Marseilles. The club is named after the famous cold winter wind that blows down the Rhone valley and through Marseilles. In 1966, a triplette team from Le Mistral defeated teams from Trois Riviere, Quebec to win one of the earliest tournaments held in North America. Marcel Babayan, who passed away in 2004, was president of the club for 40 years and a major factor in the success of the club. Armenian members of Le Mistral dominated FPUSA teams to the World Championships between 1975 and 1987. Marcel Babayan represented the USA at three world championships; Albert Kallanian an incredible seven times. For more information about the club and its history, see our archive of the club’s web site. Members of Le Mistral in 2006. Left to right — Carlo Testa, Albert Kallanian, George Bogosian (throwing) and Brian Walsh. The next oldest club is La Boule d’Or in San Francisco, founded in 1959 by Jean Bontemps, director of an import/export business in San Francisco. The early members were mostly French expatriates — Jean Krauer, Jean Bontemps, André Martin, Armand Squitieri, Charles Nicolas. When they first began playing, they used an English translation by Jean Bontemps of the 1952 FFBJPP national rules. Photo courtesy of Monique Bricca, daughter of Armand Squitieri. The group played in the Mission district next to 3rd Street, until new courts in Golden Gate Park were dedicated in 1959. In October 1960 they had their first International Tournament, with teams from France, Canada and Tunisia. The Boule d’Or team played a Canadian team in the final game and won. 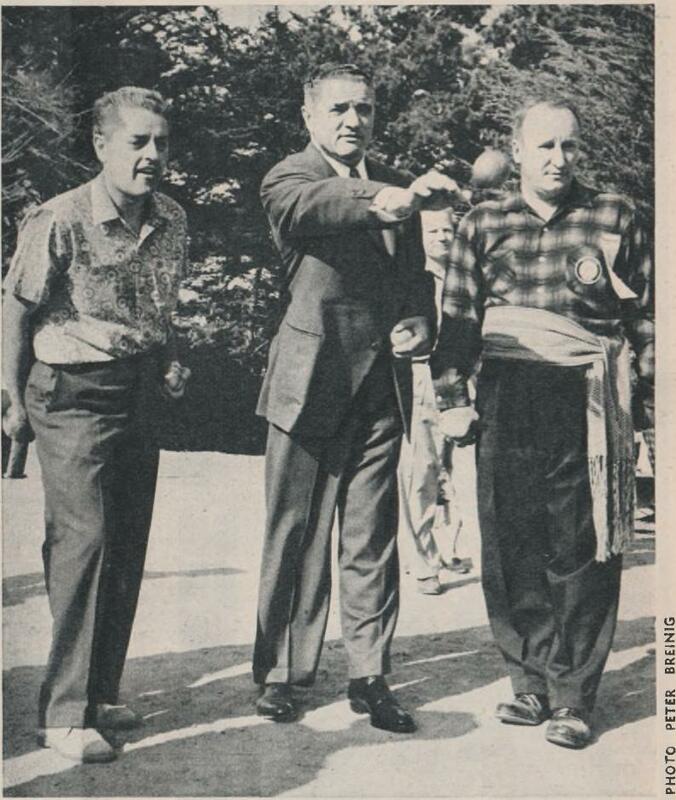 Jean Bontemps (left) and an unidentified Canadian player (right) watch as George Christopher, the Mayor of San Fracisco, throws out a boule at the first North American Petanque Championship, in San Francisco, 1962. When Jean Bontemps moved to Washington DC in the mid-1960s, he and Jacques Biaggini founded two clubs, La Joyeuse Boule and Les Pétancoeurs de la Maison Blanche. Early members included Maurice Ebolitto, and John and Gisele Hill. It was probably while playing at one of these two clubs that Alfred Levitt met Bontemps. Joe Acciardi and La Joyeuse Boule still play in Maryland. Sometime in the late 1970s or early 1980s Les Pétancoeurs de la Maison Blanche seems to have faded from the scene, to be replaced by the National Capital Club de Petanque (NCCdP) founded by Bob Morrison. La Boule New Yorkaise was founded in 1968 by the artist Alfred Levitt, who later went on to found the FPUSA in 1973. In the the early days Levitt and LBNY played on the gravel paths in Central Park near 106th Street. Later they moved to permanent courts in Washington Square Park, and still later to Bryant Park. LBNY is still one of the most vigorous clubs in the country. An APA brochure. The mailing address is a PO box in Washington DC, but the telephone area code (301) is in Maryland. 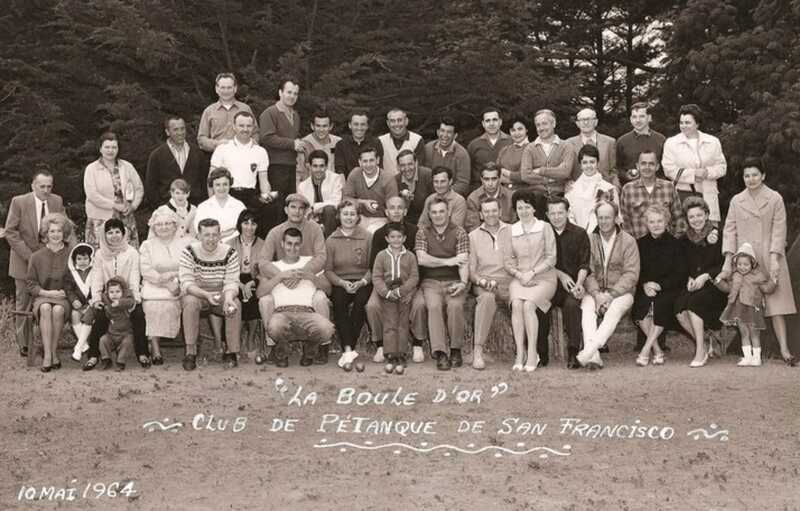 Following the foundation of La Boule d’Or, a number of other clubs were established on the west coast, including La Boule Joyeuse sometime in the 1970s, and La Pétanque Marinière in 1972. One of the founding members of La Pétanque Marinière was Armand Squitieri, who had earlier been one of the founding members of La Boule d’Or. Philip Bontemps says that his father Jean-Louis Bontemps (not the same person as Jean Bontemps), Rene Dimaio, and Marcel Parnel were three of the founders of the club, along with Louis Toulon and Pierre Joske. The club got its start from Le Club Lafayette, a French club in Marin, made up of French immigrants, generally gardeners, bakers, painters, mechanics, waiters, consulate employees, etc. They got together and started La Petanque Mariniere, which competed with other local petanque clubs a couple of times a year. That group, plus Albert Lucas all participated in the championship competition held in Washington DC. In September 1975, the 11th World Championships were held in Québec City, Canada: the first and last time the World Championships were held in the Americas. In 1973, Alfred Levitt founded the FPUSA in New York City. He was its first president, and stayed in office until 1985. In 1976 Jean Bontemps founded the American Petanque Association (APA) (also known as PAM, Petanque America?) in Washington, DC. Its creation only three years after the creation of the FPUSA suggests that it was deliberately established as an alternative to the FPUSA… that is, as a national petanque organization that did NOT involve dealing with Levitt, a notoriously autocratic and difficult personality. 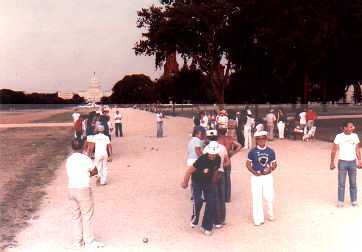 In 1982 a national championship was held on the Mall in Washington, DC. It is not clear who the competition organizer was. The APA certainly played a significant role, given its DC location and the fact that La Joyeuse Boule was the host club. Philip Bontemps reports that Alfred Levitt worked closely with Louis Toulon to make it happen. So perhaps both APA and FPUSA members participated, making it a truly national championship. 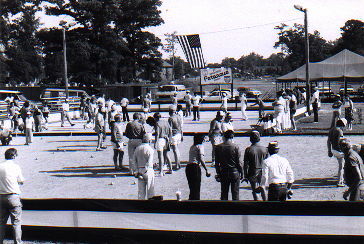 This was the first national petanque championship held in the USA. Note the club’s name in the upper left corner — La Joyeuse Boule — one of the two clubs that Jean Bontemps and Jacques Biaggini established in the DC area. 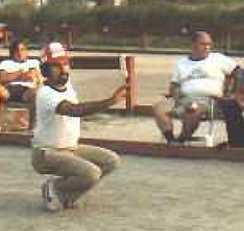 1983 saw the founding of another of the strongest and oldest clubs in the United states — the Los Angeles Petanque Club. In 1988, the Valley of the Moon Petanque Club was organized in Sonoma, California, just north of San Francisco. An archive of early newsletters (1990-2003) can be found HERE. In 1985 Alfred Levitt was forced into retirement as president of the FPUSA. When the dust had settled, Bob Morrison of the APA and Hans Jepson, the new president of the FPUSA, got together and easily negotiated a merger of the two organizations. The result was a single national organization, the FPUSA as we know it today. Jepson served as the interim president until a new president could be elected by all of the clubs in the new Federation. The new president was Joseph Ardagna, of the Portsmouth Petanque Club. 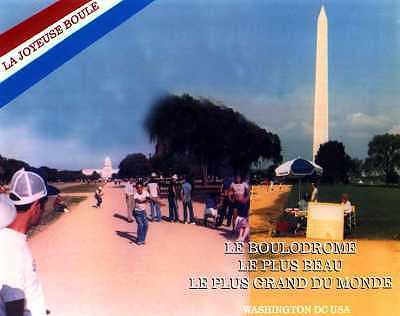 When the two organizations agreed to merge, Bob Morrison and Joe Acciardi began work on organizing the United States’ first international tournament — the Championnat International de Petanque U.S.A., which took place on the weekend before Bastille Day, 1987, on the National Mall in Washington D.C. In 1979 Freddy Canesse immigrated to the USA from Calais. He moved to Sarasota, Florida in 1985, where he was joined by his younger brother Gilles. The brothers began playing with members of the local Alliance Française playing behind a restaurant on the Tamiami Trail, and around 1993 helped organize the Sarasota Club de Pétanque, which eventually evolved into (spawned?) the Manasota Boules Club. The first annual Coupe des Amériques (not to be confused with the bicycling event) is held in Drummondville, Quebec. The plan is for it to be played every year, alternating between Canada and the USA. Since about 2004, it has been held in the USA in even-numbered years. 1996 marks the completion of the shift of the FPUSA’s center of gravity from the East Coast to the West Coast. Louis Toulon and Mike Norton, of the Valley of the Moon Petanque Club, are elected president and vice-president, respectively. The other officers are already from the West Coast, which means that now all five FPUSA officers are from the West Coast. 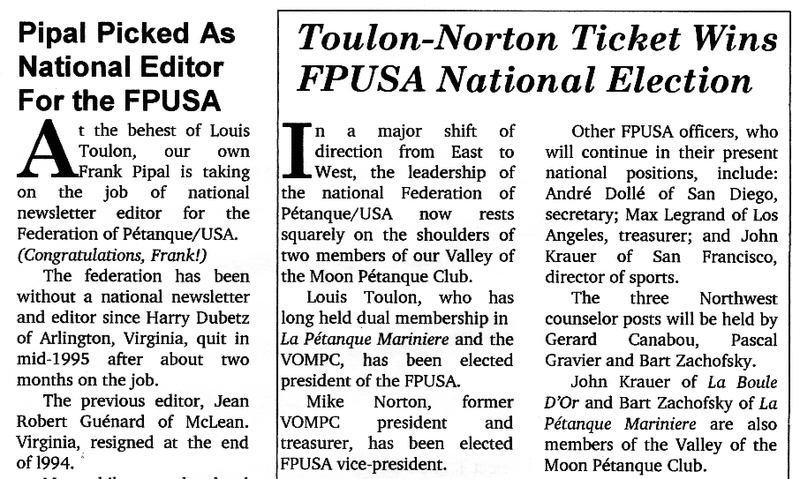 Frank Pipal, also of VOMPC, agrees to become editor of the FPUSA newsletter. A second major milestone occurred in 2003, when Boets and Petanque America sponsored the first Petanque America Open (now, the Petanque Amelia Island Open), which has grown into THE major petanque event in the United States. The Open was held again in 2005, and then in 2009 (along with Petanque America itself) moved to its current location — Fernandina Beach, on Amelia Island, Florida. 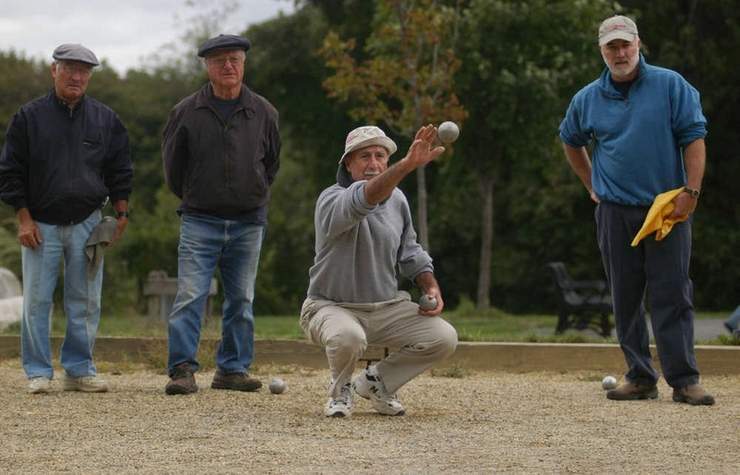 In the United States, petanque clubs flicker into and out of existence. But there have been several recent cases where a club has shown remarkable vigor and growth. 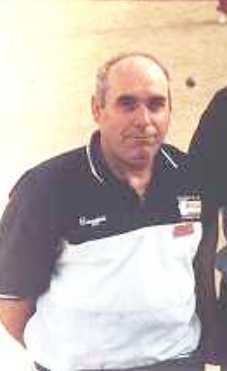 In 2000, John Rolland started Boca Petanque 2000 in Boca Raton, Florida. Bob Morrison worked with the Fairfax County park authorities, and by the early 2000s the National Capitol Club de Petanque was playing on dedicated terrains in Highlands Park, Arlington, Virginia. It was there that, in 2008, the first promotional video for petanque in the USA was filmed. The distinguished-looking gentleman in the opening scene is Joe Acciardi. Shirley Jones helped create Carolina Petanque in November 2007. Shirley, who lives in Lexington, NC, first learned the game when she and her husband were vacationing in Floriday in 2004. In March 2006, Tim Channell moved to Fresno, California and started to organize the Fresno Petanque Club. The FPC is remarkable for the speed with which it grew and the way that it has attracted members from Fresno’s large Hmong community. In May 2008 Arsene Dupin moved to Austin, Texas from his native France. He found a small group that played at the French Legation Museum and they formed the Heart of Texas Pétanque Club which now plays regularly at the French Legation, Pease Park, Paggi Square and the Mueller Browning Hangar. Outside of California and the west coast (the Portland and Seattle areas), petanque’s strongest foothold in the USA is in Florida. The state has many thriving clubs. Perhaps the most remarkable is the Amelia Island/Fernandina Beach Boules Club, which was established in 2010 and has rapidly grown into the largest club in the US. The Zanesfield Petanque Club was established in 2010 in the tiny town of Zanesfield, Ohio. Truly remarkable community participation has grown it at an astonishing rate, and it is now one of the most visible clubs in the country. Zanesfield Petanque Club. Click for larger view. When I began researching this topic I wasn’t looking for “the Father of American Petanque” and I didn’t expect to find any single individual that might be a candidate for that title. But as it happens, I did. Jean Bontemps started petanque clubs on both the West Coast in San Francisco and the East Coast in Washington DC. He travelled around the country for years, promoting petanque in towns and cities all across America. He started what is now the Pan-American Continental Confederation. Alfred Levitt met Bontemps in Washington, then returned to New York City and founded La Boule New Yorkaise and the FPUSA. Bontemps himself founded the APA. When the FPUSA and APA merged, Bontemps was the father of one and the grandfather (as it were) of the other. In my opinion, Bontemps (not Alfred Levitt) should be considered the true father of today’s FPUSA. You get to be called “the father of (something)” partly because of what you did, and partly because your story provides a good starting point for the larger story that we tell ourselves about Where We Came From. On both counts, Jean Bontemps looks like The Father of American Petanque. Valery Freschet is a French social anthropologist who has done a lot of work on Alfret Levitt and petanque in New York City. Her home page, with links to some of her research papers, is HERE. If you enjoyed this post, you might enjoy some of our other history posts. This entry was posted in History by Jules Lenoir. Bookmark the permalink. If you’re interested in more information about petanque in New York City, I heartily recommend Valérie Feschet’s excellent article on petanque in New York City, in Voices: The Journal of New York Folklore. 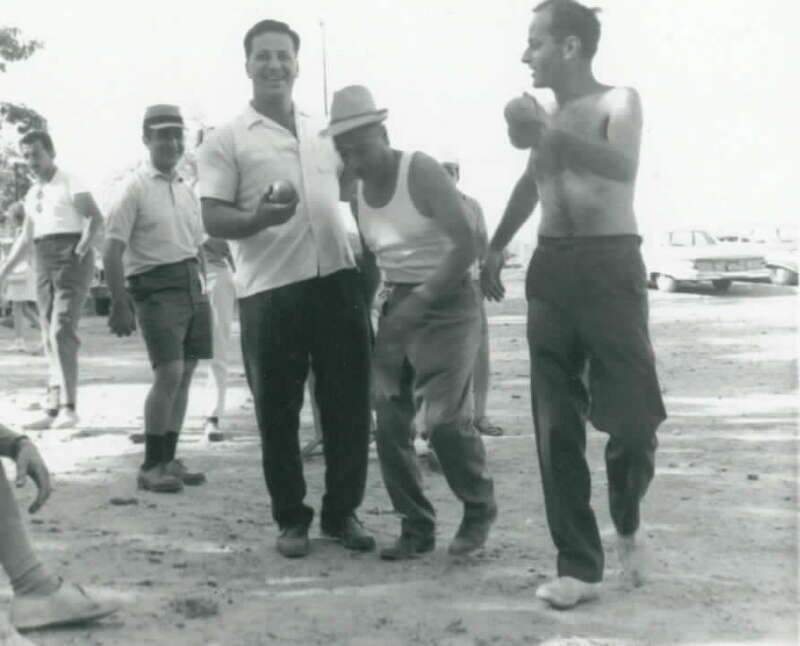 Great article on the history of petanque in the USA! In our book, ‘La Pétanque, la fabuleuse histoire’ published in 2013, Martine Pilate (she is the grandniece of Ernest Pitiot, the Father of the game of petanque in France and the entire world, and the granchild of Joseph Pitiot, the brother of Ernest) and I wrote an article on the history of petanque in the USA (with thanks to my friend Frank Pipal!) and we also found that Jean Bontemps was of more importance for the game in the USA than Alfred Levitt. Just a point of clarification, since the Petanque Mariniere has been mentioned I believe that proper attribution needs to be given to the founders of that club. I played with all of them as a child and I hate to see them go unmentioned. It was a small group of men who really had a blast playing the game, with one in particular who promoted the game in California, Louis Toulon. The founders were made up of this group: Louis Toulon, Marcel Parnell, René Di Maio, and my father Jean-Louis Bontemps. I must also add Pierre Joske, as a founder since he secured the terrain de petanque that remains the home of the Petanque Mariniere to this day. As I recall he was also responsible for the development of the bike trail in Sleepy Hollow (San Anselmo), thanks Pierre! But back to petanque…My father, Jean-Louis Bontemps was not the same Jean Bontemps, as mentioned above, but they did know each other. My father had a lot of fun playing the game, but did not promote the game like Jean Bontemps, who truly was a huge influence in promoting the game, according to my dad. So there are two Bontemps who loved the game, not to be confused with one another, but both to be remembered as lovers of the game. By the way Jules, I have copies of some rules put together by J. Bontemps (not my dad) and offered by the Bowling Section of San Francisco. It states under the Organization name “The club that founded and promoted the game of petanque in the United States”. The document is titled “National Regulations of the Game of Petanque” and the document shows J. Bontemps as president (1690 Green St San Francisco 23) and Leon Crozet as Delegate for the East (34 West Coit Street New London, Conn). If you’d like a copy, please send me your address and I’d be happy to send you one.